Adding a new conservatory or sunroom is a popular, and in most cases, a cost effective way to increase the size of your home and give yourself more space to enjoy with the family. But with so many options to choose from sometimes it’s difficult to know where to start. Obviously, there is going to be a relation between the size or style of your new conservatory and the amount that you are willing or able to spend on having it installed, but it’s not just the “up-front” purchase costs that you need to consider if you want to make sure that you can comfortably use the room all year round – what about the inside, such as furnishing, heat & light? I think we all agree that it is a single storey room added to one or more wall of a property to extend the living space, however – to qualify as a ‘permitted development’ and therefore not immediately require planning permission. It should either have no heating or a heating system that has its own independent controls. Orangeries & Garden Rooms differ in that an orangery conservatory will use far more solid walls and often feature a flat roof with glass lantern sections, whilst Garden Rooms are free standing self-contained buildings. Choosing a design that suits your property can be a challenge, but you can find lots of information about what options are available by going to our pages about Conservatory Designs. Location & Size – where are you going to build it? A good idea may be to actually mark the area out in your garden and then you can get a good idea of how much space the new room will take. If you mark out the wall lines with chalk dust or string lines it will give you a great visual reference. (It will also quickly show you if you are going to have to build over any drains or manhole covers that need to be moved). The size of your conservatory could impact on planning permission, as a rough guide (apart from meeting the criteria above) if your room is going to be over 30 square metres in floor space, you will likely need it. By the way, if you are getting rough prices from companies in the early stages, they may quote based on the floor area, ask if this is the quote for the internal or external area size as there could be a difference in cost. Financing – how ae you going to pay for it? Are you a cash buyer or are you borrowing money to do the work? To pay cash is OK, but only hand over the final payment when you are totally satisfied with the work. Some customers borrow from their building society by increasing their mortgage for this and in general this is the lowest cost form of borrowing in terms of interest. Independent secured or unsecured loans on property can be a lot more expensive. Financing provided “in-house” by a company can be very quick to arrange and convenient but read all the small print very carefully. Don’t forget that your home could be at risk if you don’t keep up the payments on a mortgage or secured loan. You are sure to be asked for a deposit before the work starts, so try to keep this at a minimum amount and look for some kind of deposit guarantee form the company you choose. Function & Use – what are you going to use the room for? If it is for work use (such as a study) the conservatory will have different furnishing needs to one that is simply a playroom for the kids, knowing what you want the room for at outset can help you plan what you want to put inside it. If you are going to make maximum use of the room all year round then you will need to consider power supply, heating and ventilation – many conservatory owners will tell you that heating and cooling are very important factors. Free standing fan heaters are sometimes OK for short term use, but adding radiators is better but fitting underfloor heating from outset is probably the best option. Roofing vents should always be fitted to allow excess heat to escape (hot air rises) or you could also include ceiling fans or even consider fitting “split A/C units” (air conditioners). Window & Roof blinds help with heat management as well as appearance – tinted glass or internal window filming for the glass roof can also be helpful and visually attractive. Make sure you allow enough electrical sockets to power whatever items that you may use in the future. Solid or Tiled Conservatory Roofing. This can be built at outset or there are companies who are specialists in replacing the roof on an existing conservatory – going from glass to tiles can make a big visual difference to your conservatory and it will also go a long way to reducing glare in sunny times and heat retention in cold weather. You may need to consider Planning Permission & Building Regulations for solid roofing as it will make the room have less than 75% translucent material in the roof. Customer Testimonials are some of the best recommendations, especially if they are recent clients and lice in the same area as you do. 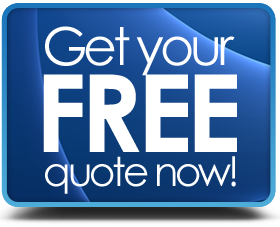 Make sure the company gives you a proper written quotation based on a detailed survey of your property – don’t work off an estimate, get a fixed price that has timescales for installation and completion. It could be a good idea to make an allowance for the unexpected, you may run into some unforeseen extra work that is not the fault of the contractor but needs to be done and paid for, so to keep an extra 10% of the cost set aside for this eventuality could be prudent. Get as many guarantees and warranties as possible, both on the products and workmanship, especially look to work with an installer that can give insurance backed deposit guarantees. If you are having plumbing or electrics fitted, make sure the contractor has certified tradesmen doing the work (ask if they use sub-contractors). Get as many quotes as you can put up with – at least 4 from different companies – take your time to read the quotes carefully before deciding on a contractor and always respectfully negotiate for a better price or an improved deal (if you don’t ask, you don’t get).